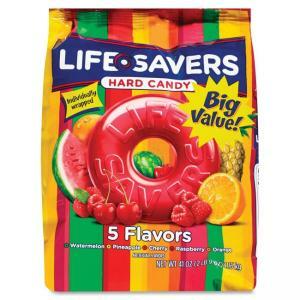 Life Savers hard candies are great for reception or breakroom areas. Each great-tasting, fruit-flavored candy is individually wrapped so you can easily slip them into your pocket or bag. 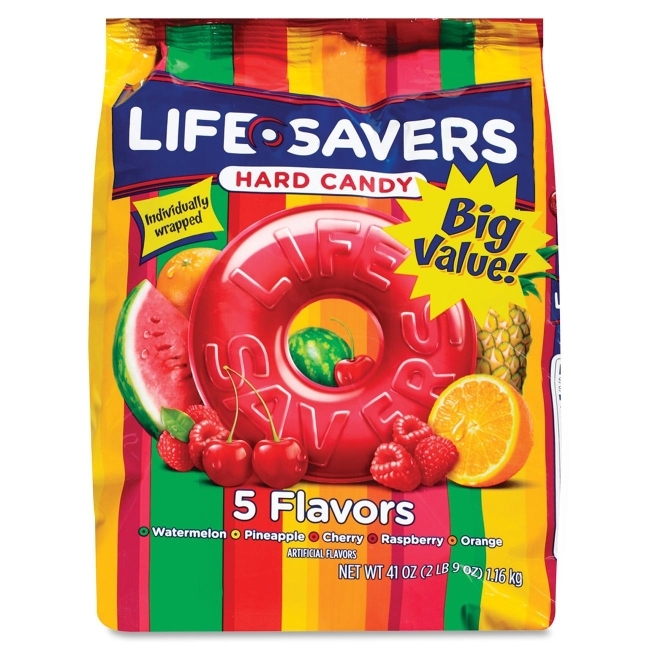 Classic five flavors include cherry, raspberry, watermelon, orange and pineapple.